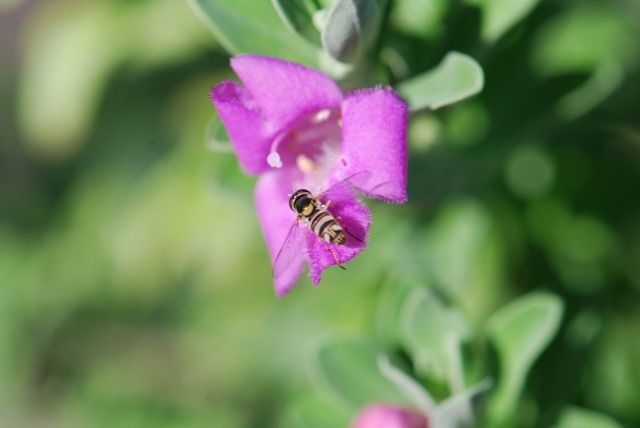 In the recent post about the insects visiting a Texas sage, one of the photographs showed an adult flower fly. The adults are called flower or hover flies because they visit flowers for nectar. But where do they come from? This week we'll see more of the life cycle. 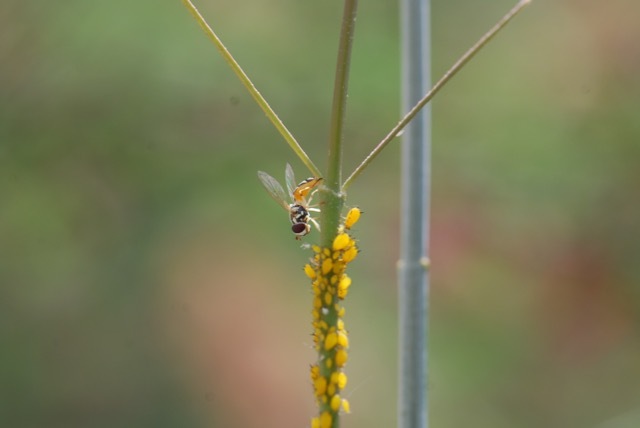 Here's an adult fly next to some aphids. What is it doing? 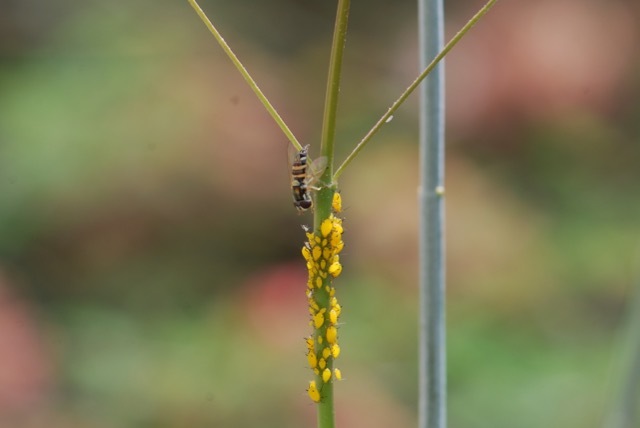 Because the adults drink nectar, it probably isn't eating the aphids. 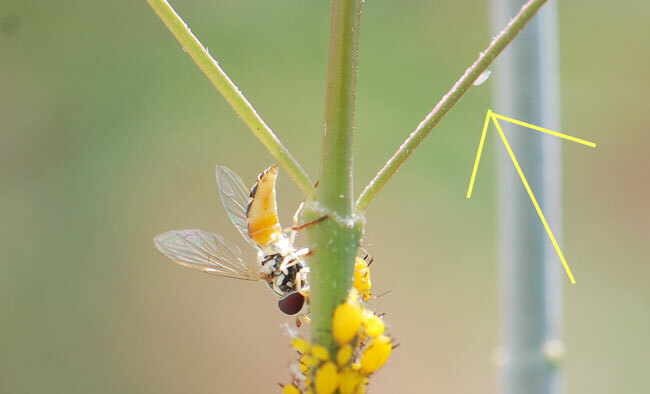 There's a clue at the end of the abdomen, which the fly has stretched out and is pressing against the plant. The egg will hatch into a larva. We've seen those feeding on aphids in a previous post. The next stage to capture is the pupa. Stay tuned!